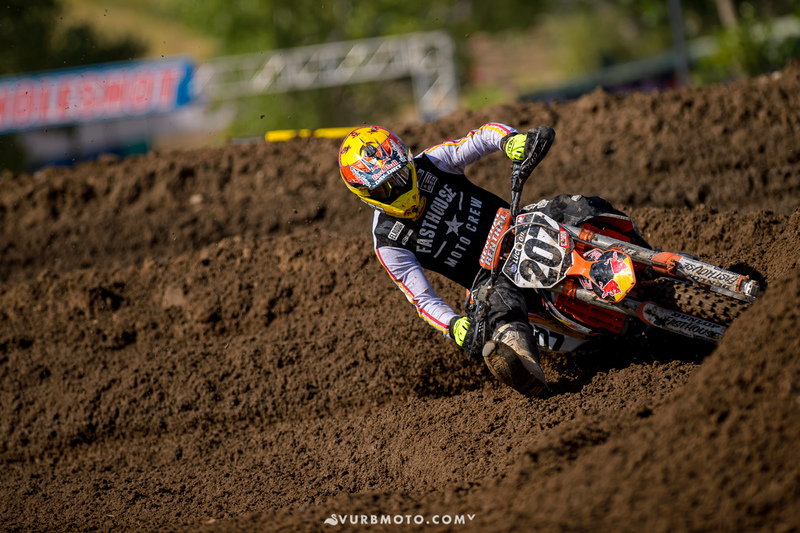 Watching Glen Helen and Hangtown, you might have noticed a certain privateer running inside the top 15 alongside riders such as Andrew Short, Ivan Tedesco, and Phil Nicoletti. 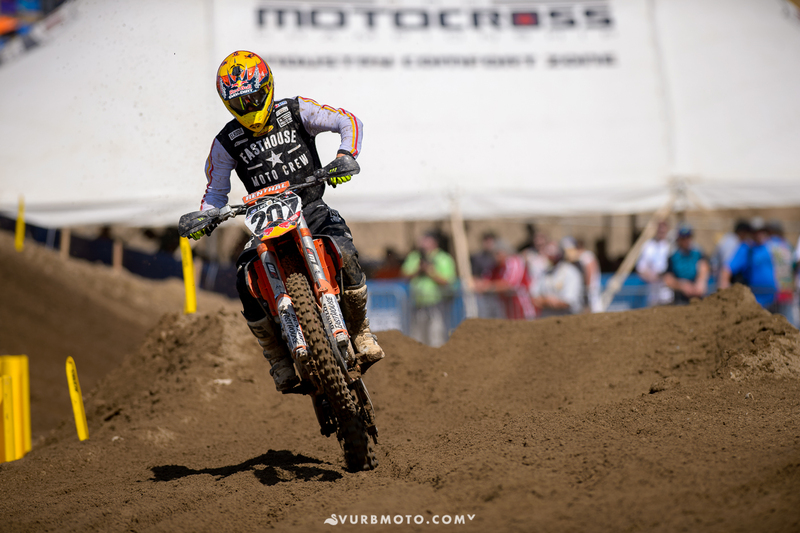 On board a 2013 KTM, California’s Sean Collier made a “cameo” at this year’s Outdoors with the support of Fasthouse, Red Bull, and FMF. Collier’s natural talent speaks for itself, as it has been a couple of years since Collier’s last professional gate drop, and his full-time job limits the time he gets to spend on the bike. Sean, tell us about yourself! I'm 28 years old, and I live in Southern California. I’m a proud father to my son Damian. I love to climb, mountain bike, hike, garden..pretty much anything outdoors that requires a bit of nerve and endurance I'm into! That's me in an extremely condensed nutshell. I began racing at the age of 6 on a Suzuki Jr 50. I successfully raced the amateur circuit for 11 years, with the help of course of my selfless parents, numerous friends, and sponsors along the way. I turned professional in 2003, at 17 years old and 2014 marks my 12th year as a pro. Currently I'm employed by McMillan Water Treatment as a field technician. I start the first two weeks each month in Northern California, finishing my last two weeks in LA. Most of the accounts I handle are associated to refrigeration systems, however I do service some HVAC systems as well. With that kind of workload, you don’t have time to train, so how do you run up there with the top 15? My job is quite demanding, and doesn't give me much time to train, let alone ride. My life style doesn't involve much sitting around though. I've kept very active, and seem to almost always be on the go. I feel this has allowed me to run the pace just inside the top twenty. What does it mean for you to be able to go out there and get those results? What means far more to me than end results is the unusual journey I've taken, and the vibe I get from all the people at the track! It's really cool to see all the positive energy. So how did you get hooked up with Fasthouse? Fasthouse was created by my friend Kenny Alexander. I can't remember how we met, but he's been a supporter of mine for a few years now. As of late, more so than ever. You’ve been racing on what is basically a 2013 bone stock, what’s it like to line up on that against all the factory bikes? Obviously riding a stock machine against factory bikes is a disadvantage, most notably the starts. I've had zero testing time with suspension and chassis though, during the race this is by far my biggest challenge! Luckily I have the guys down at Enzo suspension doing their best to accommodate my needs via phone conversation, they've done a great job so far! 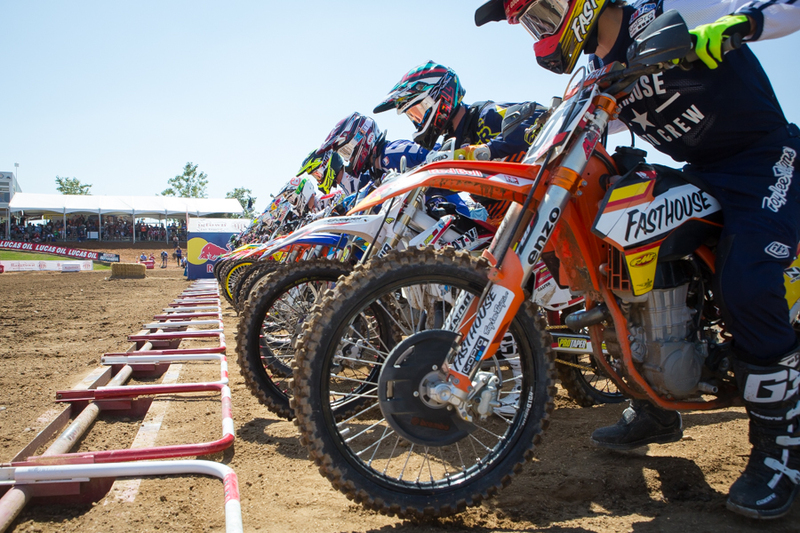 Besides lining up for a couple nationals, what other riding do you get to do, and how often? Since committing to these races I've only done motos on tracks, having such a limited amount of saddle time it was critical to eliminate any other form of riding and just stick to the task at hand. I began riding six weeks ago, a total of seven times on the bike prior to glen helen. Being from California, what’s your favorite track out here? Don't really have a favorite track, but if I had to pick a race track it would be Glen helen for sure! I enjoy laying down consistent laps, while trying to perfect my technique. Love to just ride with good family and friends! I would like to thank Steve and Chase from redbull, having their positive laid back energy around the truck has been great! Obviously Kenny Alexander for always believing in me, and for lining everything up, couldn't have done this without all his help! All the guys at FMF for stepping up and helping this idea come to fruition. My buddy Brad with Motoworks has been a big asset and we would've been up sh*t’s creek without his expertise and direction! Geoff Patterson for all his tireless work and support throughout the years! Pasha racing aka "pash" for his undying devotion to the cause, I truly wouldn't be here without him either. Bob Rathkamp with Gaerne for supplying me with the best boots. Ronnie with Maxima. John Anderson with Dubya. Casey Lytle for his support. And last but not least all my family and friends that continue to support me through this journey..